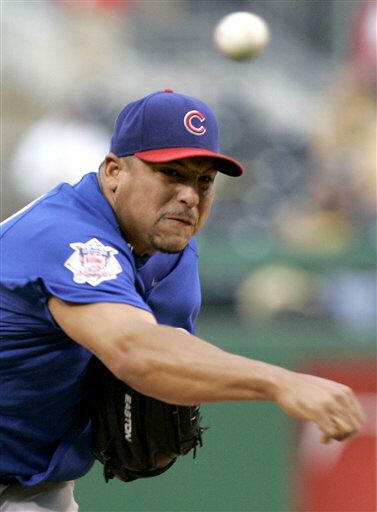 [May 24, 2008] PITTSBURGH (AP) -- Carlos Zambrano had four hits to go with a stellar seven innings on the mound and Reed Johnson hit a three-run home run and two doubles as the Chicago Cubs extended their mastery of division rival Pittsburgh by winning 12-3 Friday night. The Cubs, who lead the NL Central, are 9-1 against the Pirates this season, 4-0 in Pittsburgh, and 12-1 in their last 13 meetings. Zambrano (7-1) gave up two runs and six hits - he allowed seven hits and five runs, four earned, against Pittsburgh in a no-decision Sunday - and had a career day at the plate. His four-hit game was the first by a Cubs pitcher since Lew Burdette on July 23, 1964. His 4-for-5 elevated his average to .343, which is higher than any Pirates starting position player. He has four career games with three or more hits, two this season. Arizona's Micah Owings was the last pitcher with a four-hit game, also doing it against the Pirates last September. Johnson, bumped into a platoon role in center field by the Cubs' recent pickup of Jim Edmonds, doubled in the second inning and scored on the first of Zambrano's four singles. 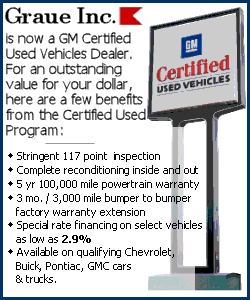 Johnson homered in the fifth to make it 8-0, then doubled again an inning later following Mark DeRosa's sacrifice fly. On a night the Cubs generated much of their offense merely by hitting ground balls to Pittsburgh's shaky infield, Zambrano didn't give the Pirates much five days after lasting only four innings against them in what became a 7-6 Pirates win. The Cubs, 21-7 when they score first, took a 2-0 lead in the first inning with the help of the Pirates' NL-worst defense, which has 45 errors and is averaging nearly one per game. Alfonso Soriano, 10-for-16 against Pittsburgh the last eight days, doubled and scored when right fielder Xavier Nady couldn't catch a soft line drive by Derrek Lee that fell for a single. Lee later scored when third baseman Doug Mientkiewicz misplayed Ronny Cedeno's ground ball for an error. Pirates shortstop Chris Gomez muffed pitcher Zach Duke's throw for an error on an apparent double play grounder an inning later. The Cubs added another run in the fourth after first baseman Adam LaRoche hesitated while deciding where to throw on a ground ball with two on and didn't get any runner. Duke (2-3) was lifted that inning, after allowing 10 of the Cubs' 18 hits and five runs, four earned. In an unusual scene, managers John Russell of Pittsburgh and Lou Piniella argued at the same time in the fourth after Jason Bay hit a long fly ball that a fan in the right-center grandstands muffed as he leaned over the outfield railing. Bay pulled up at third as the Cubs ran the ball down and was awarded a triple due to fan interference. Piniella argued Bay should have had a ground-rule double. Russell wanted a home run because the ball reached the stands, although the fan leaned several feet into the field of play. The call, which TV replays showed was correct, didn't make a difference as Zambrano retired the next three hitters to strand Bay at third.